Ok I know this recipe sounds a bit complicate but it’s actually not, just time consuming. 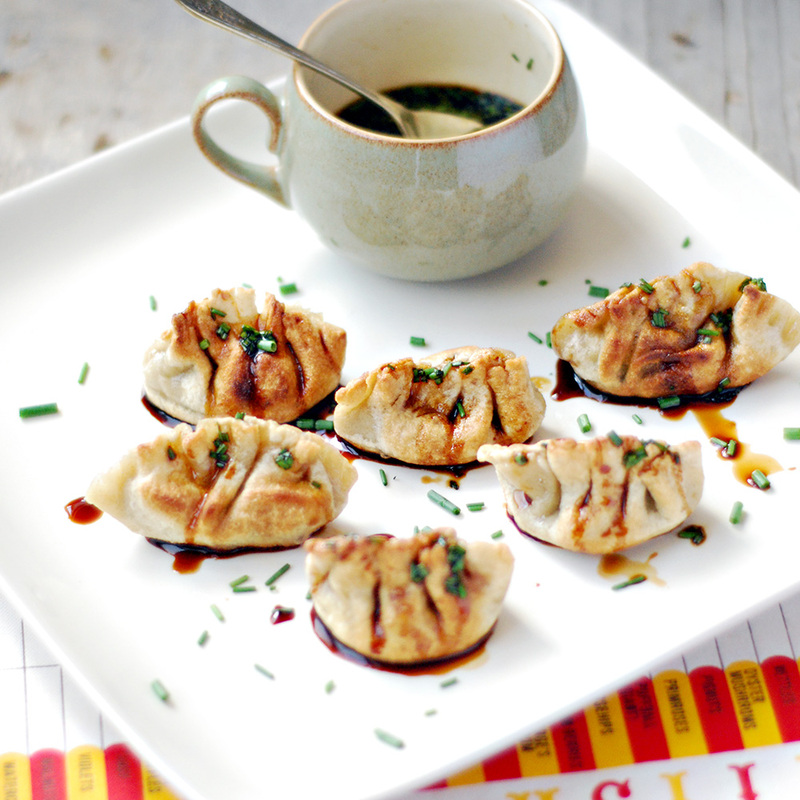 The dumplings are soooooo tasty that it totally worth the time you’ll spend in the kitchen. The dough is light and easy to prepare and the sesame oil makes the whole difference. So give it a go, you’ll thank me later! Mix the water and the flour into a dough. Put a wet towel over the dough, and let it stand for several minutes. Divide the dough into 18 pieces of 1 x 1.5cm. Fry the onions until tender, add the rest of the ingredients and only 1/2 tbsp of sesame oil. Stir for about 10 minutes. Using a rolling pin open the dough pieces as round as possible. Divide the shimeji mixture into the pastry circles placing about 1 tbsp of the mixture in the middle of each circle. Fold wrappers in half over filling and pinch it in the centre. Holding the wrapper in that middle spot that you just pinched with your left hand, make a pleat in the top part of the wrapper, pinching it against the flat edge of the wrapper at the back. Holding the filled half-circle in the left hand, pleat the top of the wrapper from the middle out, pressing it to the flat edge of the wrapper at the back. Proceed to make two or three more pleats to the right of the first pleat. Using the rest of the sesame oil fry the dumplings, 2 minutes each side or until golden brown and serve it with soya sauce.